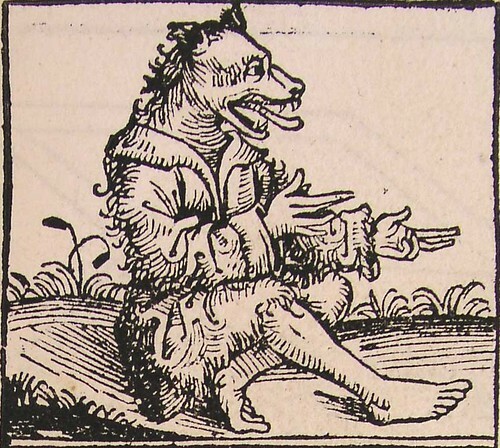 The cynocephalus is a rather fancy name (or at least it sounds that way in English) for a rather simple concept, which is a person with the head of a dog. This is a theme that shows up quite frequently in tales of foreign cultures, usually representing people who are viewed as savage. The Egyptian god Anubis was depicted as a man with the head of a jackal, but the first known report of non-divine dog-headed men might be in the work of Ctesias, a Greek physician in the fifth century BC. He reported that such people lived in caves in the mountains of India. While they communicate by barking and eat raw meat, they also keep animals, particularly sheep. They can fight with swords, bows, and spears, which they receive from their neighbors in exchange for amber from fruit trees. 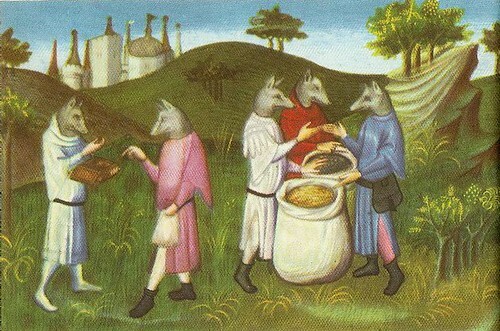 Marco Polo, who apparently needed to pad out his travelogue in order to get it published, wrote of cannibalistic cynocephali living in the Andaman Islands, between India and Burma. Sir John Mandeville placed such people on an island called Nacumera, near Java, and described them as worshipping an ox and eating anyone they defeated in battle. 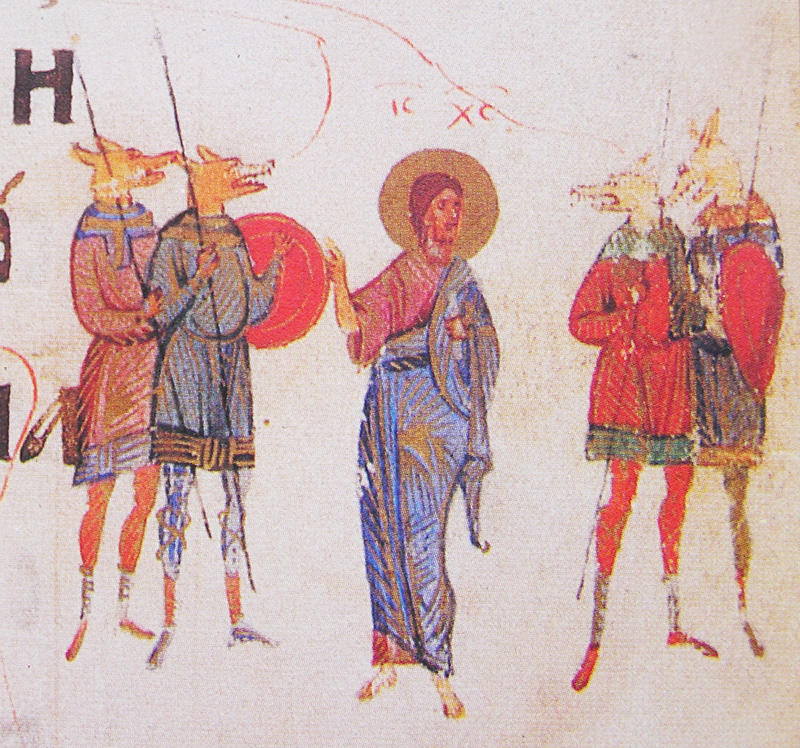 Cynocephali were common in Christian iconography as well, often representing the unsaved. Of course, since they were part human, it was possible for them to see the light, albeit perhaps not in full color due to having canine eyes. In the Eastern Orthodox Church, one particular saint is often depicted with the head of a dog. 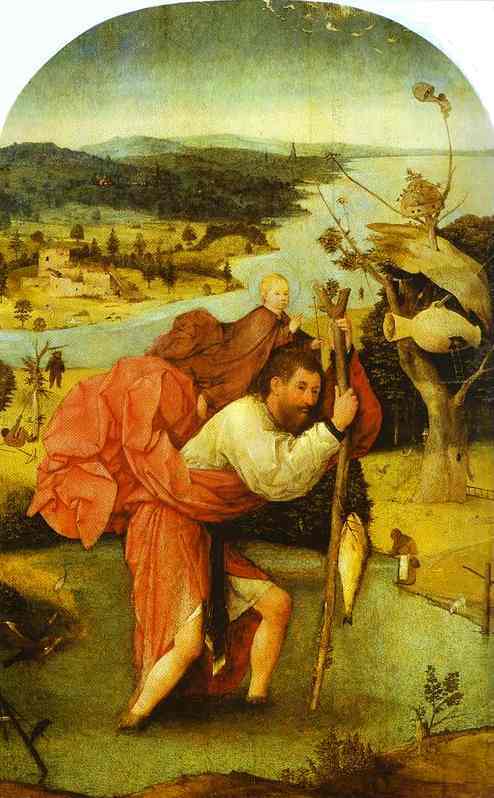 This is St. Christopher, a third-century Middle Eastern martyr whose existence is by no means certain. Originally called Reprobus, he was a very tall man (seven and a half feet, by some accounts) who wanted to serve the greatest king in existence, and eventually decided that this was Jesus. He’s known for having carried a bunch of people across a river, and one really heavy child he carried turned out to be Jesus himself, making some kind of symbolic point. 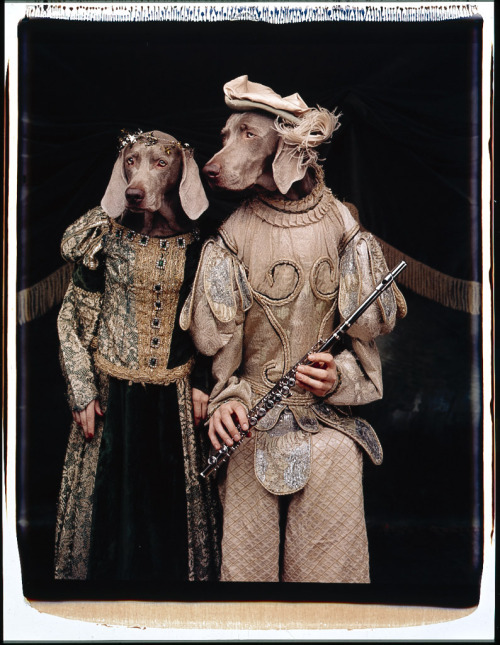 I doubt too many people believe in cynocephali anymore, but they still exist in William Wegman’s Weimaraner photographs. These dog-people aren’t very good at baking bread, at least according to the following Sesame Street clip. Maybe that’s why they prefer to eat their fallen enemies instead. This entry was posted in Animals, Art, Christianity, Eastern Orthodox, Egyptian, Greek Mythology, Mythology, Religion, Sesame Street, Television and tagged anubis, ctesias, cynocephali, dogs, jesus, marco polo, sir john mandeville, st. christopher, weimaraners, william wegman. Bookmark the permalink.